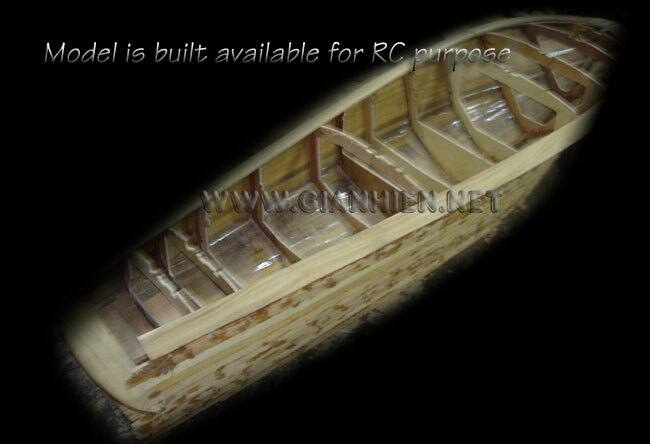 Model is hand-crafted from wood with planks on frame method and ready for display. The metal fittings and strips are brass and chromed as stainless steel. 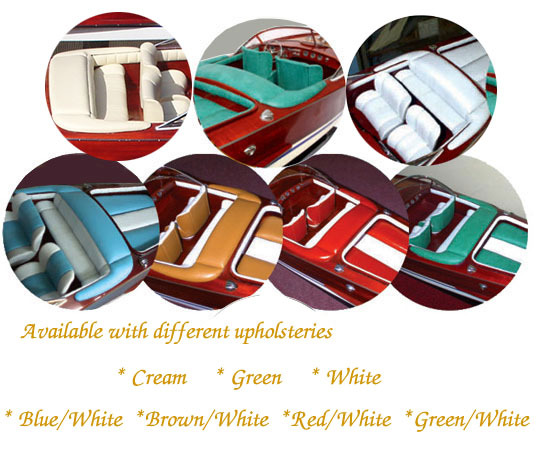 The upholstery is available with different colors. 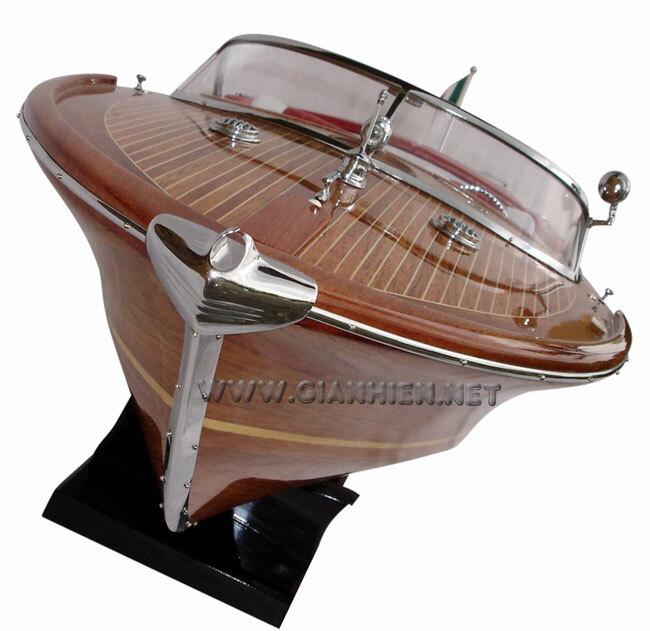 Described as the Rolls Royce of the Sea, and the "Stradivarius of Boating," the Super Riva Aquarama will forever be a legendary symbol of style and luxury. 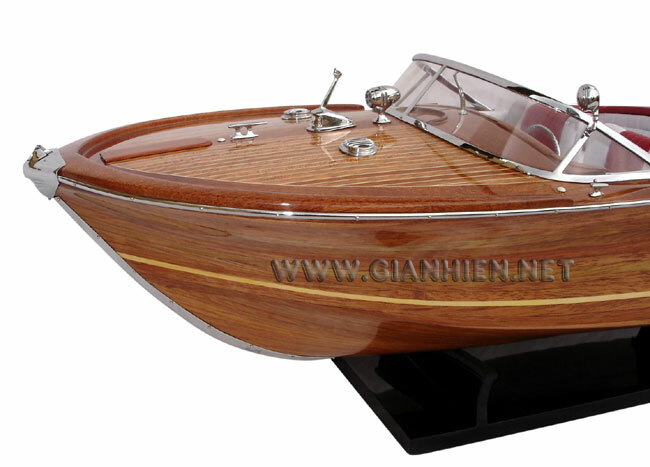 The Super Aquarama was built from the hull of the Tritone, which was at the time the top of the line model of the whole Riva production line. 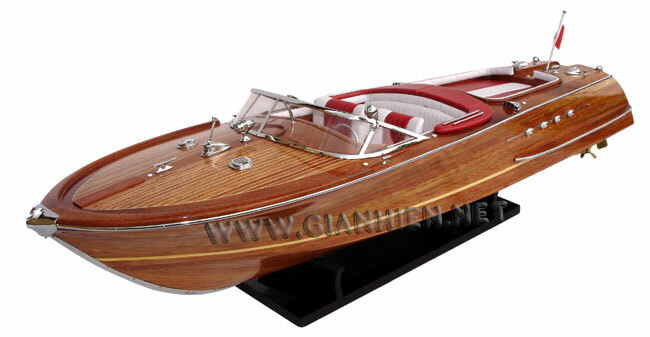 The powerful bi-motor that powers lying within the luxurious Riva Aquarama has been compared to a Rolls Royce automobile with the massive engine of a Ferrari. 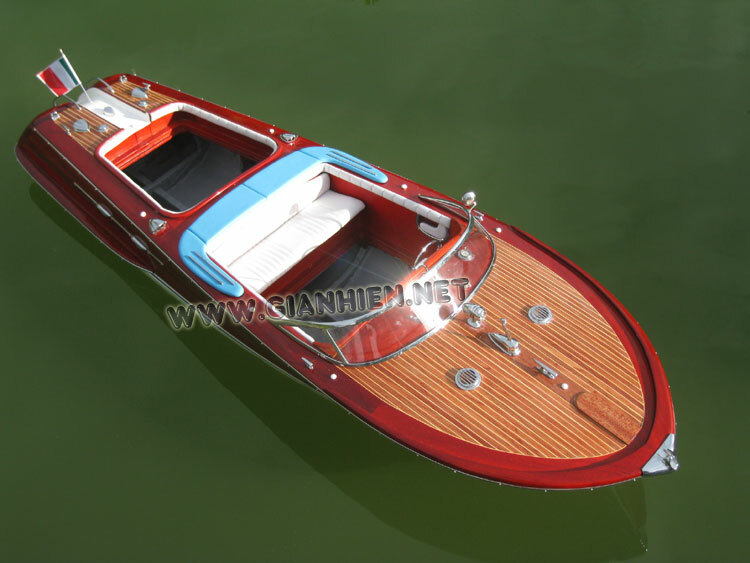 Power options were a pair of 185-hp Chris-Craft engines or two 220-hp Riva V8s. 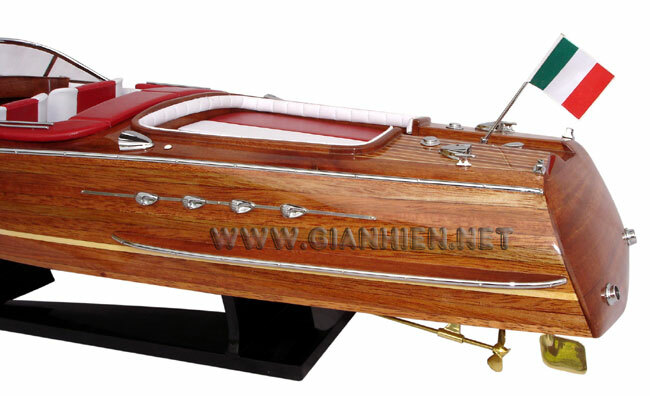 Equipped with the two engines and fitted with a propeller, its performance became far beyond exceptional. 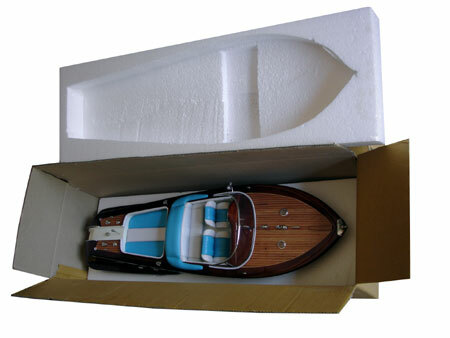 A total number of 203 boats were built. 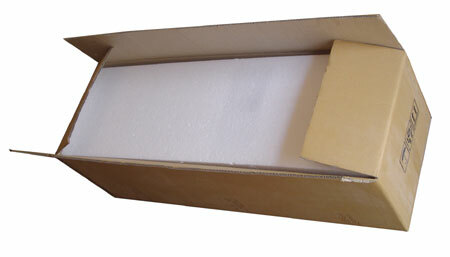 Professional packing with solid styrofoam to secure the model.